Nursing is one of the most physically, mentally, and emotionally demanding jobs. Most nurses work long shifts on consecutive days, spending a lot of time on their feet and moving around the clinic or hospital tending to patients and assisting other medical staff. Some of the more noble nurses even take on the daunting—and much needed—overnight shifts. Similarly, tackling a nursing degree can be equally as challenging. Long hours spent completing coursework, studying for mandatory exams and the stress that comes with being a student can feel very similar to the lifestyle of a healthcare professional. There is no denying pursuing a career in nursing is challenging—albeit rewarding—however, if you let it, it may just begin to take a toll on your overall physical health. That is why taking care of your health through good dietary choices and an active lifestyle should be a top priority for anyone studying to become a nurse. Nursing students, like anyone pursuing a higher education, often have to face challenging coursework, late night study sessions, and last-minute cramming for mandatory exams. Being a student can be challenging. Often, when productivity and workload increases, something else must give, and more often than not, that “something” ends up being good eating habits. While it might seem easier in the moment to indulge in a sugary sweet for a mid-morning pick-me-up, try opting for a more nutritional snack. Creating healthy habits, like maintaining a nutrient-rich diet and active lifestyle, can continue to be something you carry throughout your career as a nurse. As a student, you have the awesome advantage of learning from others who have already been in the healthcare field. Gaining insight from those who have exponentially more experience from you, such as your professors or superiors, can help you get a head start on what dietary challenges you can expect to face in the field. Learn tips and tricks on how to maintain a healthy diet and lifestyle during a demanding career but be careful not to pick up on any unhealthy habits they may also have along the way. Long hours. Early mornings. Late nights. Constantly being on your feet. These are a couple things you’ll get familiar with during your nursing program and healthcare career. This makes nursing an incredibly demanding field and can often cause seemingly-less important things to slip, such as diet and exercise. Get creative with how you choose healthy foods and slip in some daily exercising. While planning and prepping your meals ahead of time can prove to be a great time saver, be sure to prepare for the unexpected by keeping non perishable healthy options with you wherever you are. Reaching for a healthy option is always preferred but not always reality. If you find yourself in a crunch and your stomach is so empty that you can hear audible rumbling, any sustenance—no matter if it may not be the healthiest option—is better that no sustenance at all. Settling for a less-nutritional snack is always better than going without one. Patients are more likely to follow instructions about healthy living that they receive from nurses who demonstrate that they live by those teachings as well. As a nurse, you are in no way required to be the perfect poster child for healthy living, but it is important to remember the role you play—and in turn, the type of influence you have—in the lives of your patients. Practice what you’re teaching, and you may just help influence someone else’s journey to healthy living. Staying in good physical health is important for anyone entering into or currently working in the field of healthcare. Nurses have demanding jobs that involve long hours, critical thinking, and good decision-making skills. 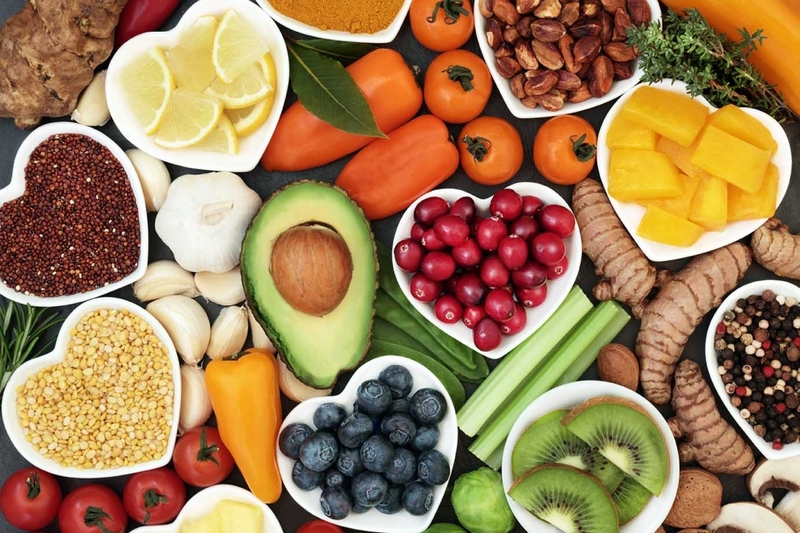 In order to stay in tip top shape—whether you’re studying for an exam or getting ready for a 12-hour shift—at Eagle Gate College, we believe that maintaining a healthy diet is essential for the overall health and wellbeing of any nurse or nursing student.